Bangtan Boys Maknae-line. . HD Wallpaper and background images in the bangtan boys club tagged: photo bts jungkook v jimin maknae-line. 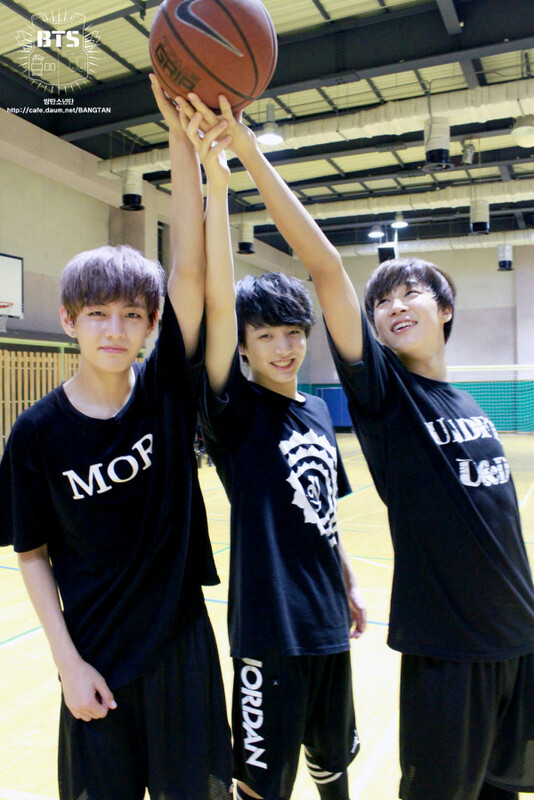 This bangtan boys photo contains basquetebol, basquete, jogador de basquete, basketeer, cager, and driblador.